Advertising the opening of Tower Of Terror. The iconic LIFE photo for the opening of Walt Disney World. Cinderella Castle in a veil of Florida mist. The future site of Pirates Of The Caribbean in Walt Disney World. 2 construction workers stand on top of Spaceship Earth after its completion. The old logo for The Disney Channel. A Spaceship Earth hot air balloon for the 25th anniversary. Here's something weird: back in early Disneyland when the Main Street Cinema showed full movies, at some points they showed the old 1925 version of Phantom Of The Opera. During these times this figure waled around the cinema. Star Tours opening ceremonies with Lucas & Eisner. 1986. Star Tours, the barf bag! Found a genius comment in a thread the other day. Spaceship Earth under construction, circa 1981. Inside the terrifying Alien Encounters. Mermaids in Submarine Lagoon, 1959. Leota Toombs adds finishing touches to The Redhead of Pirates Of The Caribbean. A hot air ballon drifts gently over the Grand Floridian. The Frito Kid. An old dispenser of Fritos back in early Disneyland. Today, Rancho del Zocalo is in its location. Walking through Pirates before it officially opened. The Witch slides to the door to offer an apple. the old version of the witch from Snow White's Scary Adventures. Tiles wait to be placed on Spaceship Earth. Walt Disney tells the world bout the Florida Project, 1966. 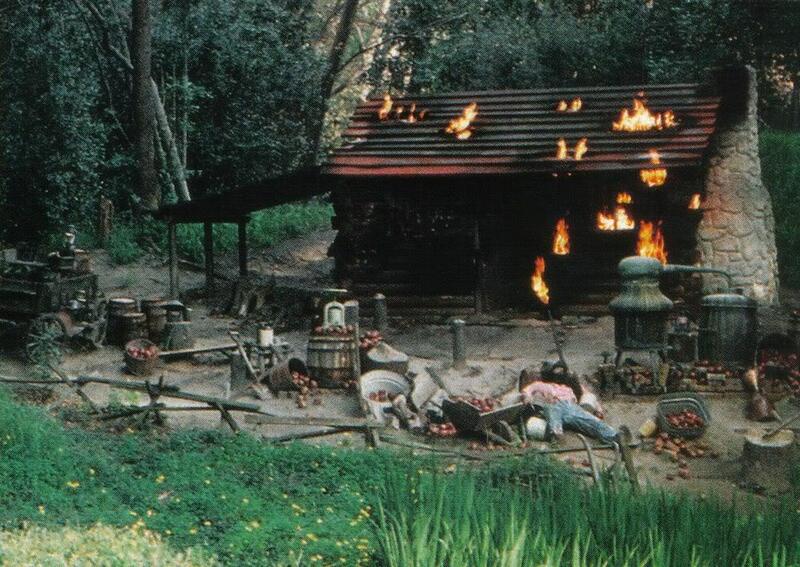 The old burning cabin on the north side of Tom Sawyer Island. the story was the home was raided by indians and the owners killed. In order to be more politically correct, this was changed and eventually removed, but the cabin still stands today. 22 hours left, the suspense! A scale model of Disneyland Paris in phase I. An early model of the Tower Of Terror. The Spaceship Earth Mural by Claudio Mazzoli. The Speedway of early Tomorrowland in Walt Disney World. The entrance of Mission To Mars in Walt Disney World. The cover of guide map for EPCOT Center. Original Drawings for elephants of the Jungle Cruise. As requested, a high resolution image of Walt Disney's Enchanted Tiki Room attraction poster. Mermaids of 20,000 Leagues Under The Sea. Preparing to travel back in time in Ford's Magic Skyway at the 1964 New York World's Fair. The old entrance into Space Mountain. A ticket to EPCOT Center on opening day. Walt Disney poses with a scale model of General Electric's Progressland pavilion for the 1964 New York World's Fair. The Teacups in early Walt Disney World - Circa the early 70's. Because you all enjoyed the entrance to Space Mountain, here is some bird's eye view concept art of the Tomorrowland amphitheater. Rockin' Roller-coaster under construction at MGM Studios. An employee serves ice cream at the Sunshine Tree Terrace - circa the early 70's. Timekeeper of Tomorrowland in Walt Disney World. An aerial view of Disneyland circa 1965. The Organist of the Haunted Mansion. The Magic Kingdom map - Circa 1975. Tony Baxter, John Rhys Davies, & Karren Allen at the opening of Indiana Jones Adventure. As requested, high res Carousel Of Progress attraction poster. As requested, more Jungle Cruise photos. look at the restaurant to the upper left. Its pre Tiki Room and Tahitian Terrace. Subs cruise the lagoon of 20,000 Leagues Under the Sea in the Magic Kingdom. The Magic Kingdom under construction. A scale model of Kodak's Imagination pavilion. Concept art for the Germany pavilion in World Showcase. 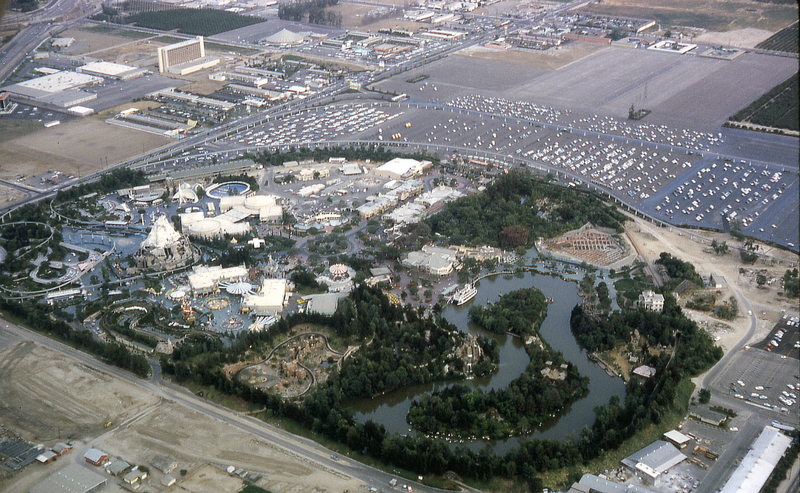 The empty and uncluttered Tomorrowland of 1975. A young girl with a Figment doll from Journey Into Imagination in EPCOT Center. Guests purchase tickets at the gates of EPCOT Center. Attraction poster for 20,000 Leagues Under The Sea at Tokyo Disney Sea. 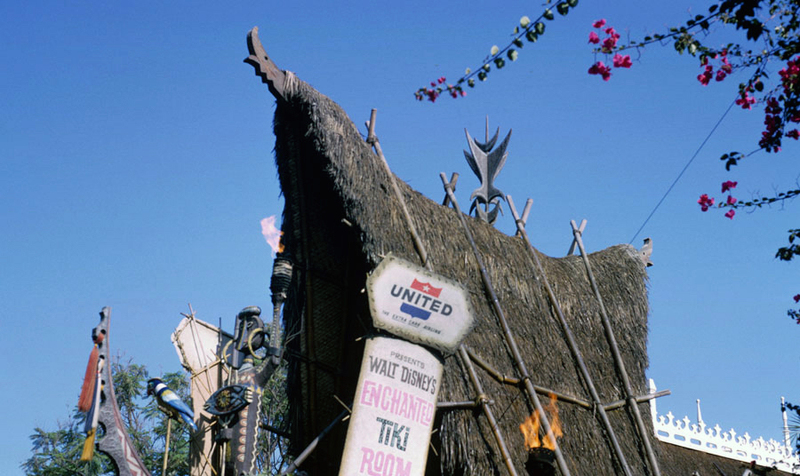 Uti at the entrance to Walt Disney's Enchanted Tiki Room, circa 1963. 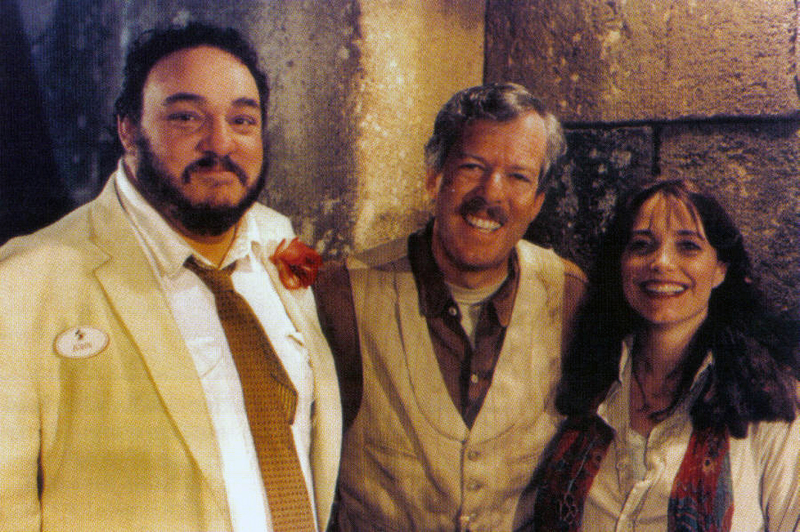 Tony Baxter, John Rhys-Davies, & Karen Allen at the opening of Indiana Jones Adventure in Disneyland. A Nautilus stuck in Florida traffic. Promotional photo for The Maelstrom attraction in World Showcase's Norway pavilion. Who prefers the new red starspeeders to the old white ones ? This is now a Universal Studios themed subreddit. 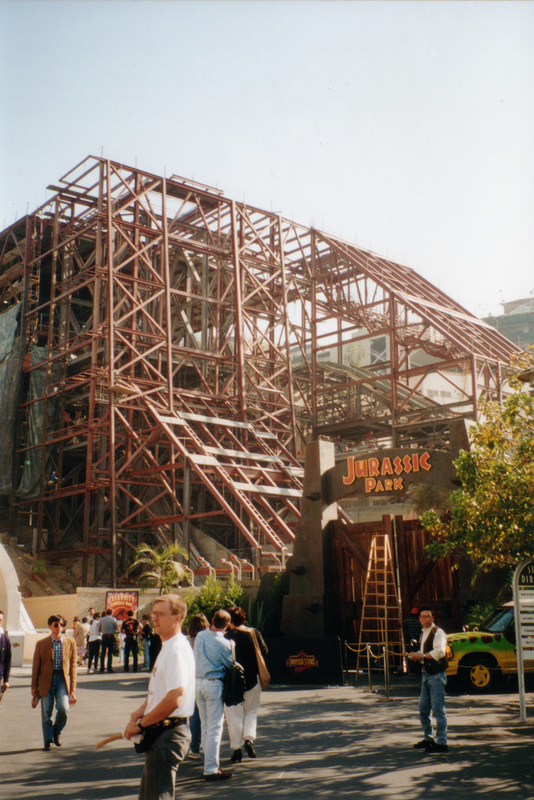 Here's Jurassic Park under construction. The opening future scene from Horizons in EPCOT Center. Two Nautiluses together to show the massiveness of the 20K Lagoon. 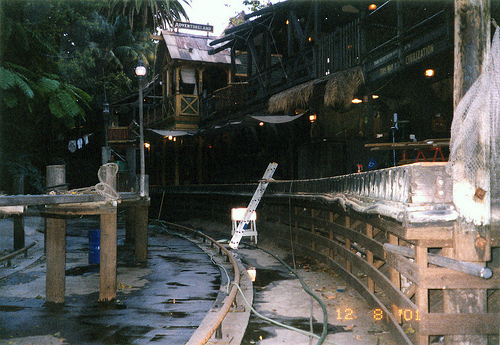 The old queue for The Living Seas. Building the Matterhorn. Circa 1959. Riding the Magic Skyway in the Ford pavilion at the 1964 New York World's Fair. Jean Shepherd, the current voice of the Father in Walt Disney's Carousel Of Progress. Riding in the nose of the old monorail in Disneyland. Giorgio Moroder and Donna Summer - Circa the 1970's. The 11 portraits of the Haunted Mansion. An old aerial photo of Big Thunder Mountain Railroad. 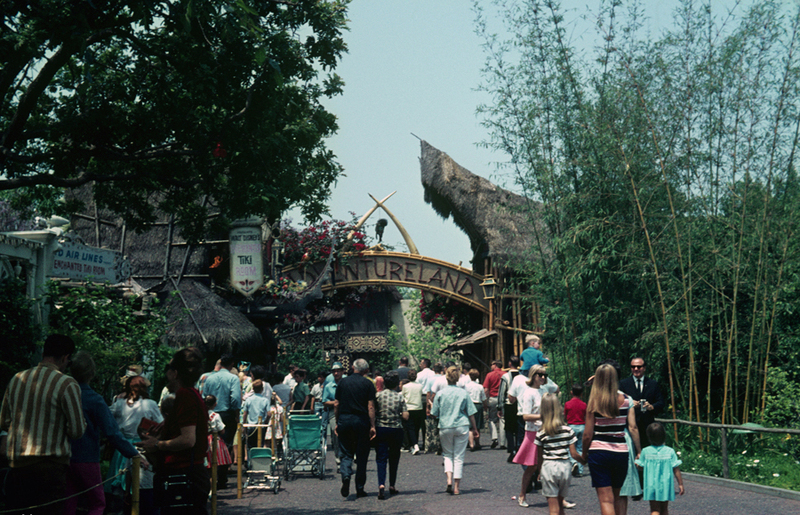 The entrance to it's a small world at the 1964 New York World's Fair. The old logo of Disney's Fastpass system. A digital recreation of the wallpaper of the Haunted Mansion's foyer. An attraction poster for the Monorails of the Vacation Kingdom (Walt Disney World). The original layout of Snow White's Scary Adventure in Walt Disney World. Walt overseeing the african veldt. Inside a room of the Contemporary Resort - Circa the early 70's. The rivers of the Jungle Cruise, circa the late 50's. The rhinoceros chases explorers up the pole from the Jungle Cruise. Journey into Imagination - circa the mid 80's. Cover of The E Ticket magazine covering the 1967 expansion of Tomorrowland. Nautilus XI slowly pulls away from the dock of 20K. Monsanto Hall Of Chemistry. Tomorrowland, 1955. King Stefan's Banquet Hall inside Cinderella Castle. The Odyssey, back when it was still a restaurant. The Knight of the Haunted Mansion. Not the pearly gates of today - The original signage to tell you've entered the Vacation Kingdom. 10 Monorails pose for a photo together. The Land pavilion, under construction. Painting the Earful Tower of Hollywood Studios. 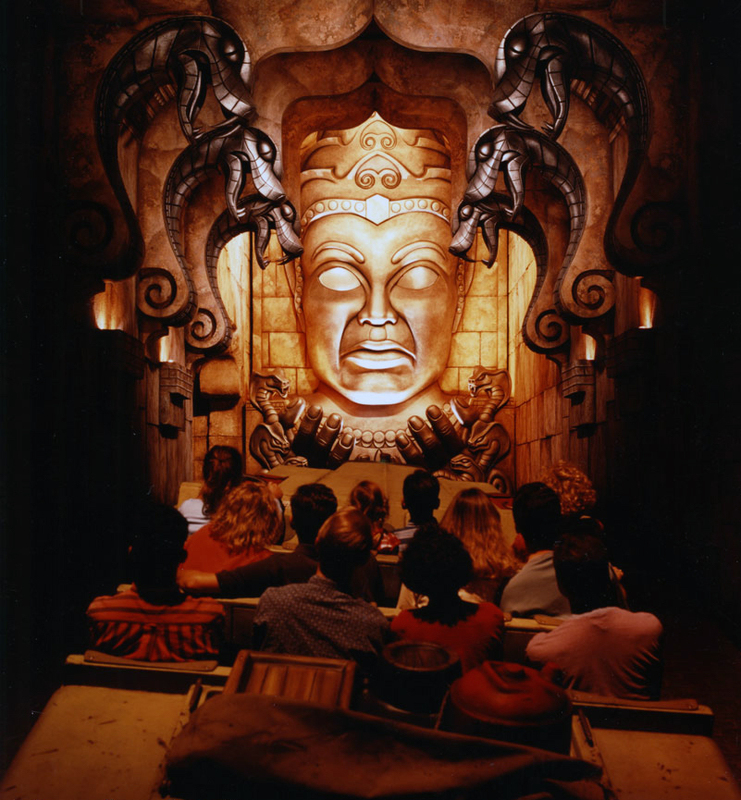 Concept art for Indiana Jones Adventure. A hatpin for the cast member costumes of 20K. Concept art for the Norway pavilion in World Showcase. Overseeing a model for the load area of Space Mountain. Circa 1976. Rolly Crump's wallpaper for the Corridor Of Doors in the Haunted Mansion. Now a wallpaper for computers. 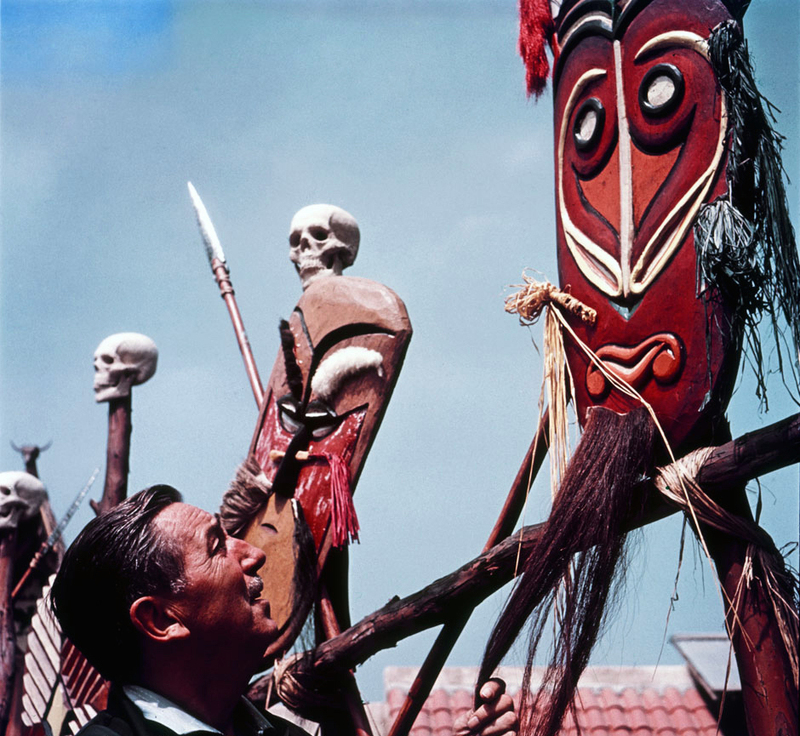 Trader Sam, the head salesman of the jungle. Mickey at the Crossroads of the world, with Grauman's Chinese Theatre at the end of the street. What better marketing than bending the laws of time itself? A new century, 18 years ahead of schedule. Working on the scale model of EPCOT Center, circa 1982. An octopus doing battle with a shark in the old Submarine Voyage.